I am sucker of seasonal produce. I know am repeating the same thing again and again but there is something in the freshest of vegetables that makes me happy instantly. I also love this fact that we Indians highlight seasonal produces in every aspect of our life. Take any season and we have some delicacies planned around that season’s availability. You cannot name a home. Though available almost all year around but you cannot name a home where pickles are not made in summer or gobi ka paratha is not enjoyed for winter breakfasts. 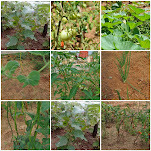 In our home though we eat healthy light food almost the whole year but winter is a different story altogether. We simply cant resist to cook with the colourful vegetables this season offers. So fresh, so juicy, so colourful it’s a sin not having them this time of the year. 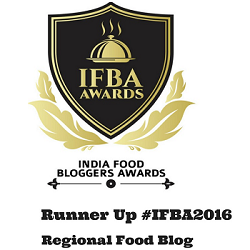 At least once we would make karaishuntor kochuri (green pea stuffed fried flatbread)and notun alur dom (newpotato curry), nolen gurer payes (rice pudding with date palm jaggery), pithe and Gajorer halua or gajar ka halwa. It’s a tradition and I don’t want to break that. 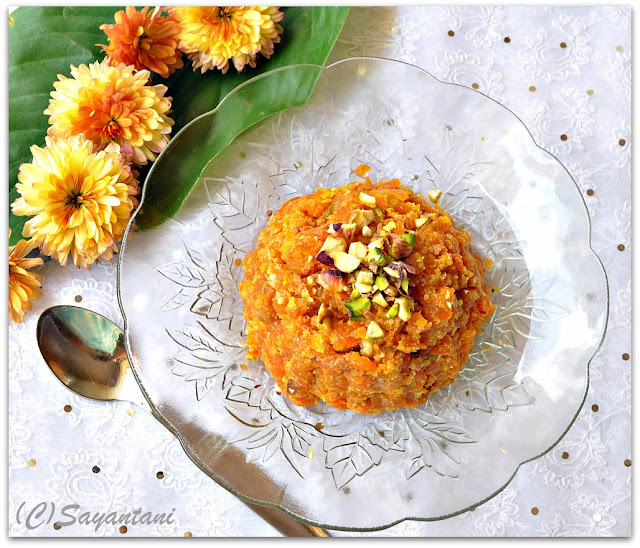 Last weekend when my local sweetshop finally declared that they would now sell milk solids or khoya I knew tht this is the time to make one of the most enjoyed Indian delicacy, Gajar ka halwa or carrot halwa. This is so famous and so much loved that it almost enjoy an iconic status. take any old hindi movie from the 70’s or 80’s. Somewhere in the movie gajar ka halwa is mentioned. Either it is made by a mother to treat the son who was away on some noble mission or by a daughter in law to prove her culinary skills. Growing up watching all these I always thought preparing this delicacy must have been very difficult. Though maa prepared this every year but as long as I had my bowl full of warm ghee soaked halwa, I never bothered to check how she made it. I first made this when after marriage a group of husband’s friends came for dinner. I prepared the dish for the first time and then with time I have devised my own way of cooking this. I really don’t mind making it rich and with lots of dry fruits because in our home its made only once or twice each season. Below is my version. Mix the sugar with the grated carrots. Mix and keep aside for 15 minutes. Wash and soak the raisins in half cup water. Heat half of the ghee and sauté the chopped nuts till golden. Take out and keep aside. Crush 2 cardamom pods and add to the same ghee. Once the aroma hits you add the grated carrots. On a low flame keep on cooking this till it changes colour. Approx. 8-10 minutes. Next add the milk and keep on stirring on low flame till the milk is absorbed and the carrots are soft. Approx 15 minutes. Add the condensed milk, nuts and raisins and stir to combine. Cook for another 3-4 minutes and then add the rest of the ghee. Mix and again fry the carrots till it dons on a bright orange hue. The mixture now should be almost dry. Finally mix in the grated khoya and cardamom powder (crush the rest of the pods). Mix and serve hot, warm or cold. You can also store it for a couple of days in fridge. 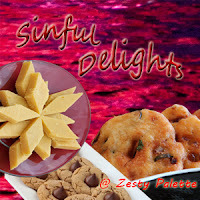 sending this to Sinful Delights held at Zesty Palette. Winter Carnival at Tickling palettes. 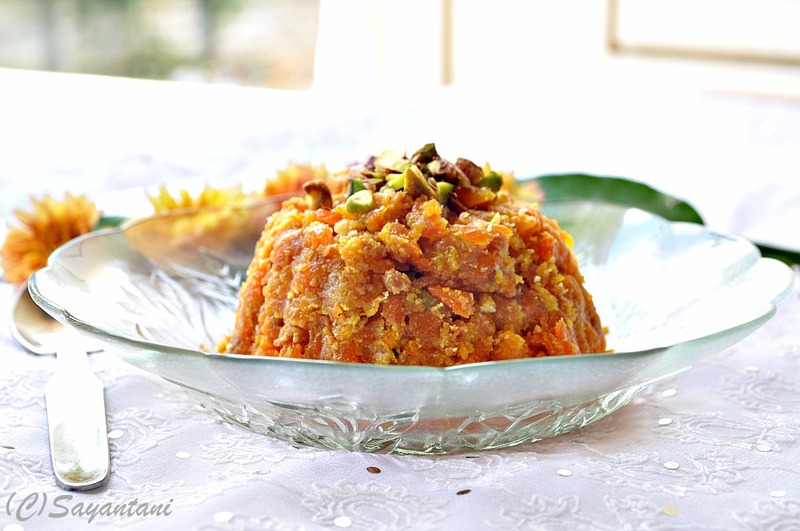 Carrot, Gajar, gajor, carrot dessert, khoya, milk solid, green cardamom, ghee, milkmaid, nestle, gajorer halua, halwa recipe, halua, halva, winter halwa, party dessert with carrot, carrot based dessert, carrot fudge, carrot burfi, North indian halwa recipe, vegetarian dessert, vegetable based deseert, carrot and milk, orange hued dessert, North Indian winter delicacy, how to make gajar ka helva, rich Indian dessert, authentic indian dessert recipe, festival dessert, most popular indian dessert, milk based carrot dessert, best ever indian dessert, winter special dessert. Nice one.I loved the way you have the pattern in clicks. Oh yea, there's nothing like cooking with what's in season. 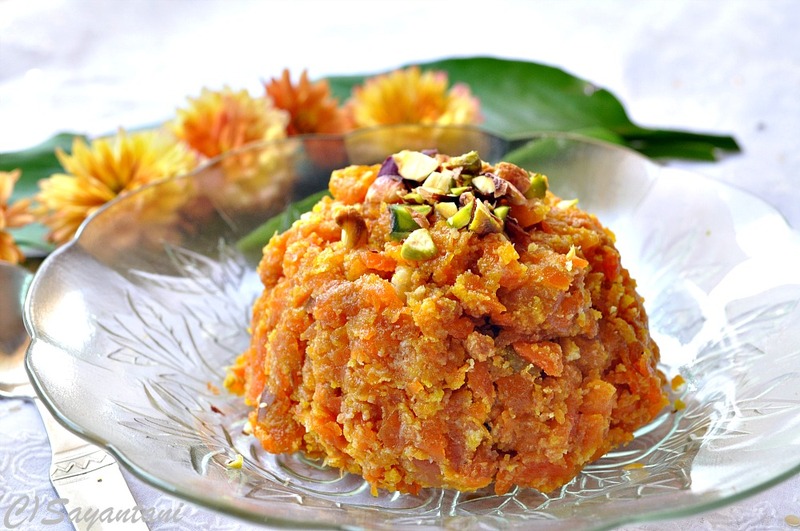 I love gajar halwa and your first picture is really tempting me. I mean it! What a beautiful presentation sayantini....my absolute fav ...YUMMY! gajar ka halwa looks delicious.. fabulous clicks..
Gajar Halwa looks so delicious and wonderful. Awesome preparation. Looks lovely. Perfect combo with vanilla icecream. Your pics are lovely S ! I tried a low fat version with milk powder...Winter time is great for really lovely coloured vegetables...your halwa looks delicious ! 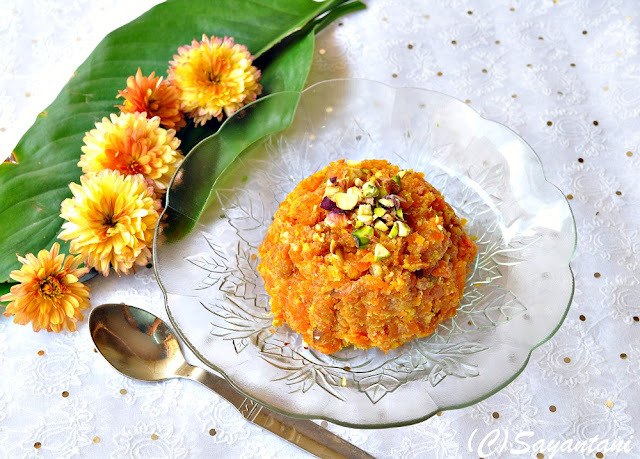 Gajar halwa looks very delicious and healthy..
Feel like grabbing that plate from the screen and enjoy the delicious gajar ka halwa. Yum! Tempting pictures and tasty halwa. Thx for linking to the event. Ah Sayantani, ki je korlish...I can't resist!! The whole thing looks so very delish and tempting..and the mention of homemade, ghee soaked halwa!! These are the most tempting pictures I have ever seen of Gajar Ka Halwa till date. Picture perfect! Halwa looks absolutely divine, wat an incredible presentation..
Halwa looks extremely delicious and inviting, lovely pics! 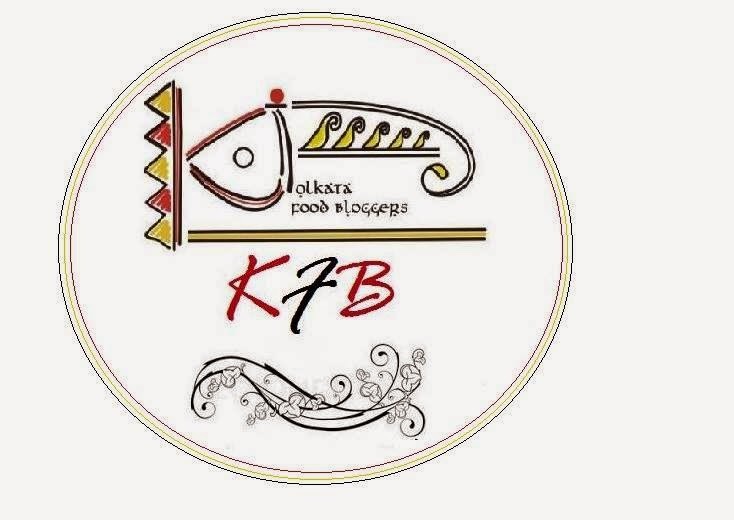 I like ur recipes and profile photo.I am glad to follow ur blog. ahhhhhhh! 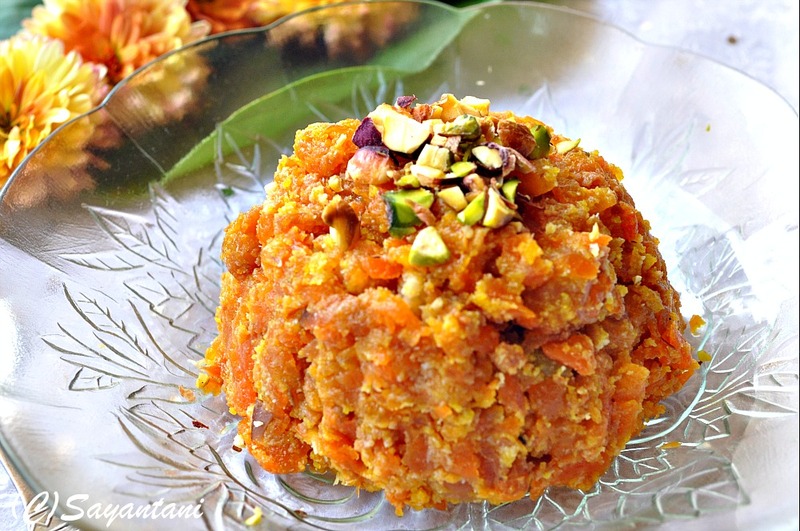 !so tempted to eat carrot halwa now!looks lovely!